It’s no big secret that plastic, in all its varied forms, plays a huge role in the functioning of contemporary society. 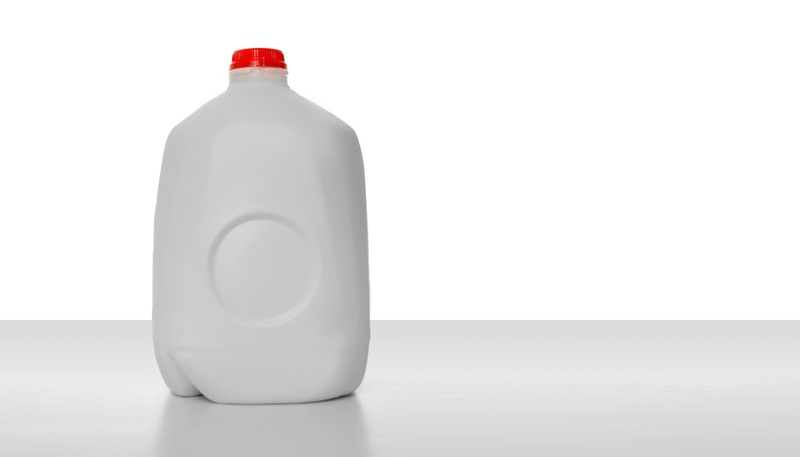 From supermarket bags to high-tech industrial applications, plastic is seemingly ubiquitous. This synthetic material has given us—and continues to give us—a wide range of conveniences and innovations, from the frivolous to the undeniably important.But it’s equally undeniable that plastic has its downsides. Its durability and resistance to biodegrading processes (except for a few counterexamples, such as aliphatic polyesters) pose an ongoing threat to the environment. There is a staggering amount of plastic waste in the world today, and figuring out how to manage all this material has commanded the attention of many leading environmental scientists. To a very large extent, these efforts revolve around the management of polyethylene, the most common type of plastic. How common? No less than 60 million tons of this material is produced each and every year1. Luckily, there are ways to recycle polyethylene and reduce its burden on the environment. We’ll explore the subject of recycling in more detail below, but first let’s back up a little. What is polyethylene? What is it used for? Let’s take closer look at this extremely common synthetic material. There are various types of polyethylene, but the two most common are low-density polyethylene (LDPE) and high-density polyethylene (HDPE). Originally created in the 1930s, low-density polyethylene is a thermoplastic made from petroleum. Its molecular structure is marked by a central chain of carbon atoms and a number of secondary chains that branch outward. This gives the substance a relatively low-density structure—hence the name. The practical effect of this branching is to lend the material a flexible character while still enabling it to retain a high degree of tensile strength; as a result, the material has strong scratch and impact resistance. It also tends to be fairly translucent. In addition, LDPE provides a good degree of resistance to water vapor and many chemicals. High-density polyethylene, or HDPE, came on the scene a few decades after the invention of its low-density cousin. Also made from petroleum, HDPE is marked by a molecular structure devoid of polymer branching. As a consequence, its polymer chains are packed more closely together; this is what makes it “high density.” HDPE is characterized by very high tensile strength, strong impact resistance, low moisture absorption, and chemical-resistance. It is both non-toxic and non-staining. In some ways, low-density and high-density polyethylene are quite similar. Both substances are marked by a high degree of scratch resistance; both are suitable as food containers or wrappings; both are sterilizable. Fortunately for the environment, both materials are also 100% recyclable. Despite the contrast implied by their respective names, the two substances are actually very similar in density, with HDPE only slightly higher in this category. However, the non-branching molecular structure of HDPE does give it a substantially higher tensile strength and rigidity than LDPE. High-density polyethylene also provides superior resistance to heat and chemicals. In addition, it tends to be more opaque than LDPE. LDPE has the edge in a few other categories, though. For one thing, it retains its pliability better in cold environs. It also provides better impact resistance. The flexibility of LDPE, combined with its chemical resistance, makes it useful in a wide variety of applications, as we will see below. A large number of commercial products use low-density polyethylene. The following is only a partial list of the kinds of products commonly made from LDPE. The amount of plastic out there is truly staggering to contemplate. Americans use 2.5 million plastic bottles every hour2, and all that material doesn’t simply disappear into thin air after it has been thrown away. The vast amount of plastic piling up in landfills across the globe constitutes a major threat to the well-being of the Earth’s environment. LDPE and HDPE make up a substantial portion of the world’s plastic waste products. As highly durable non-biodegradable materials, they will be around for many years unless steps are taken to recycle them. But why bother recycling plastic? Isn’t it more trouble than it’s worth, as some commentators claim? Far from it. There are a number of benefits associated with recycling old LDPE and HDPE containers and products. Recycling LDPE and HDPE products takes about half as much energy as incineration disposal3. Recycling LDPE and HDPE helps reduce the expense associated with manufacturing products made from these materials. Recycling LDPE and HDPE helps reduce the expense associated with waste disposal (e.g., landfill costs). It is cheaper to make LDPE and HDPE from recycled matter than to use new materials. Not only does recycling help the environment, it also provides extra income for businesses. Plastic scrap can be a useful revenue source. Companies like Polychem USA pay significant sums for LDPE and HDPE waste. Contact Polychem USA today for more information about our plastic scrap purchasing program. We contact your organization for the purpose of presenting our company and its products. Biocirculo S.A.S. was founded in 2011 in Bogotá, Colombia, seeking to generate sustainable economic and environmental solutions for its customers, contributing to the care and protection of the environment and to the improvement of the quality of life of the people related to the recycling chain. One of the products we produce at Biocirculo is recycled high density polyethylene, in the form of pellets. We are currently selling this product locally as well as in the USA. If you are interested in our product, we can send you a sample with the specification sheet. This product is the result of a great effort in the recycling chain from hundreds of people dedicated to the collection of material that obtains the sustenance of their families in order to achieve an improvement in the quality of life. At our facilities in the city of Bogotá (Colombia) we carry out a careful process to reach quality standards that allow us to reuse this material, contributing to the sustainability of the planet and its natural resources. It is estimated that recycling 2 tons of used plastic saves 1 ton of crude oil, a large amount of water, and also reduces greenhouse gas emissions and waste generated in the process. We are able to deliver the material on a constant basis as we have a consolidated collection chain that works continuously to ensure the availability of the material, we also have ISO 9001 certification, which guarantees the delivery of material with standardized quality for its processes. You can contact me on the cell phone +573103905928, fixed line 57 1 or via email mrojas@biocirculo.com. For more information about the company please visit our website http://www.biocirculo.com.